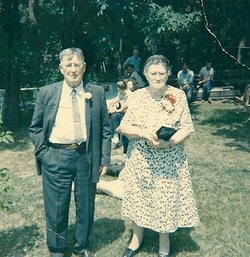 My wife Susan’s maternal grandparents, Annie Lee (1885-1971) and Charles Krause (1884-1973), were born on opposite sides of the Mason-Dixon line, in Western Maryland and South-central Pennsylvania. 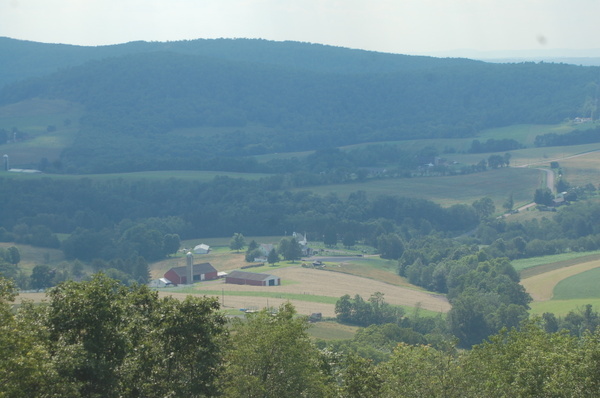 No doubt, Charles’ father Carl (1840-1912), after sailing from Prussia to Baltimore in 1871 and marrying the next year, used the National Road (or Cumberland Road) westward to reach the fertile fields of a small valley near an historic town with an unusual name, Accident, in Garrett County, MD. The bucolic location is still called “The Cove” and remains mostly the way it was a century and a half ago. Carl’s sixteen-year old bride was Margaret Georg (1856-1941), and some of her ancestors still farm this beautiful area. Both families were German Lutheran. Grandfather Charles’ bride was somewhat older than his mother had been when wed. Annie Lee was twenty-three, and her family lived across the states’ dividing line and the National Road under somewhat different circumstances. Annie’s parents, Christian F. Lee (1858-1906) and Laura Catherine Speicher (1859-1919), were Amish and most of their ancestors had probably sailed into Philadelphia, settled in Berks or Lancaster Counties, and used the old Forbes Road, predecessor to our Lincoln Highway, U.S. Rt. 30, to reach points west. This article is about the life that Charles and Annie, known to their children and grandchildren as “Pop” and “Mom,” built as they farmed, raised children, and resided in various places between the National Road and the Lincoln Highway in a marriage that lasted sixty-three years. This writing is actually a prequel to the transcriptions and commentary on three years of personal diaries that “Mom” Krause wrote between 1950 and 1952. An added and very personal touch, and frankly one not tried before by this author, are brief question and answer sessions conducted by my wife’s Wyoming cousin Cindy Leonhardt. We hope you find our bit of family history fascinating. Charles “Charlie” or “Pop” Krause was the sixth of eleven children who grew up in the Cove. Annie was the second of six children who grew up in and around southern Somerset County, PA. Being late 19th century farm families meant hard work, hearty appetites, and regular church attendance. Whether Charlie and Annie first met at a livestock auction, a farm sale, or a local grocery store isn’t known, but it’s doubtful they met at church. On the other hand, a theory persists that because Annie’s mother was from Speicher ancestors who also farmed in the Cove, perhaps they lived close enough to the Krause farm that the families knew each other. Some of those Speichers were Lutheran while others were German Baptist, Brethren or “Dunkards” (sometimes “Tunkers”) as they are also called, so perhaps they did meet at a church function. 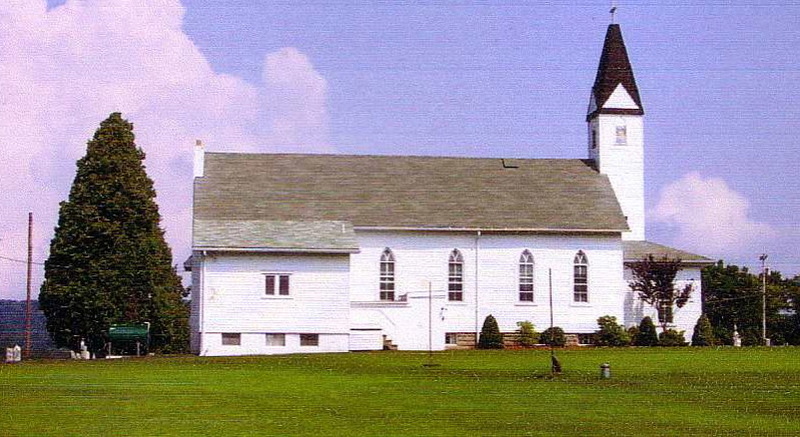 Furthermore, we know that the Cove church in which Annie and Charlie were married in 1908, pictured above, was built on land that had been donated by a Speicher family. In fact, “Pop’s” father was the designated bell ringer because he lived so close to the church. Cindy: I thought that when you left the Amish faith you were ostracized, but I wondered about Grandma. Clyde: No. I do remember Mom saying about my Aunt [Mary B. Yoder (1851-1929)] going to eat whenever she was here. She had married another Amish man who’s wife had died and took care of his children. Mom said she sat down at the table and Aunt Mary said, “You know the rules.” She couldn’t take out of the plate, out of the dish, herself, but they would serve her anything that she wanted. Cindy: Oh really! And they did? 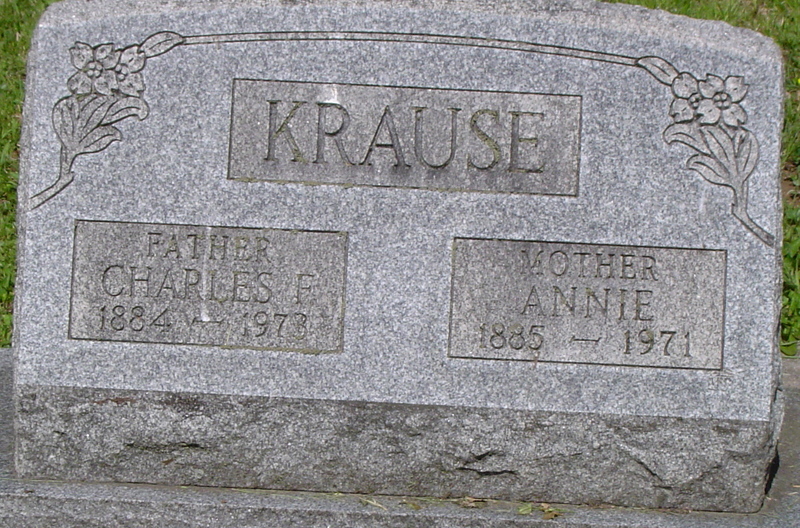 Charles F. Krause first appeared as head of household in a Federal Census in 1910 with the address of Accident, Garrett County, MD, so probably he and wife Annie were still living then on the Krause family farm. He is listed as being employed as a salesman in a general store, also in Accident. The preceding year the couple’s first child, Ernest Lee Krause (1909-1980), had been born with the address still Garrett County. Later in 1910, Charles and Annie had moved north near Salisbury, Somerset County, PA, and their second child was born, Harry Glenson Krause (1910-1970). By the time the third child, Floyd Alton (1913-1978), Cindy’s father, had arrived, three years had passed and a move to a more permanent location had taken place. It was near Berlin, Somerset County, that two more boys and a girl were born: Clyde Elwood, Olive Fern “Toots” (1917-2014), and Ralph Edgar “Pud” (1919-2011). Pop had quite the resume by then: lime quarry and lumber camp worker, coal miner, and now farmer. [See FOOTNOTE #1] But, in 1918, he was required to register for the draft as World War I was ending, the American soldiers were returning home, and replacements were needed. We believe that because of his growing family, vital occupations, and the end of the war, he was never called. Clyde: I don’t know what happened to the other teacher, because the school at that time was a one-room schoolhouse. The teacher carried her own coal in from a coalhouse in the back of the school. She had to go outside to reach the coalhouse, come around and go in the front door and take care of the pot bellied stove in the middle of the school. We had a black board up in the front of it and there was a switch up there if we got out of line and I did the first day of school and teacher gave me a licking because I wouldn’t make an attempt to copy the ABC’s on the blackboard. The desks consisted of one person sitting at a desk and at the right hand corner was an inkwell inserted in the desk and you had a pen and a slate and a piece of chalk. And you were taught the ABC’s from day one and from there we went on to whatever subjects were taught at that time. They don’t even teach a lot of them today. [Some of the men in the community] wanted [the school board] to select their sister for schoolteacher. Well, [the men] didn’t have a very good reputation in the neighborhood. There was a lot of drinking and so on and Pop decided I’m not going to [reject this woman] on my own, so he told [the board] I won’t sign [the rejection] first. If [the men] want to take up a petition and the people who have children that are going there, the majority of them, want [the woman] to be schoolteacher, I will sign it. They could never get any signatures. So, one night I woke up and I thought it was just the moon or something on the wall and about half-dozed off. Something woke me up again and I looked out the window, and I saw it was the barn burning so I yelled out and I went out with Ernest and Harry. I don’t think Alton [went] because I was sleeping with [the youngster] at that time. They went out and they couldn’t do a thing. They tried to get some of the machinery out of an old barn across a little creek that was there and they got some of the machinery out, but everything else burned: the barn, the machine shed; there was a [milk] separator shanty, pigpen, the old barn, the whole works went up. Well, one of them said that before he left, he did open the barn door and let the cows out and I think the sheep. Anyhow, everything burned to the ground. [It was] asked at the trial whether Pop ever found the chickens. [The arsonists] took a bunch of the chickens and stuffed them in a shop sack and went down below the barn to the stream, and that was where they made their get away, but they lost one of the bags of chickens. Well, the foxes would have [found them and carried them off] right away. But, it wasn’t too long after that, the Compton boy came down to the farm and apparently had heard [everyone] talking about [the fire] He told Pop [what he knew] and soon the authorities got after [the arsonists] and caught all of them. Cindy: They did. What did they do with them? Clyde: They put them in the penitentiary. But after that, we couldn’t farm. Clyde: I remember one time that one of the neighbors had died, one of the people in the community who didn’t have horses, and they needed horses to pull the hearse so Pop used our two horses to pull the hearse. I can still picture where the person was buried, but I went there one time and couldn’t find it, but they never had a tombstone they just had a couple of field stones for a marker. I remember when Uncle Dan [Daniel T. Lee (1845-1924)] died; they took him to the graveyard in a horse-drawn hearse. He’s buried up there right back of Grantsville. Clyde: Well, they were beautiful horses we had. We always liked them. I know that later we got some from Art St. Clair [Jenner Township], and whenever we had to get rid of them, he said he’d take them for mink meat, Pop said [he wouldn’t have] that. The only way [he’d] give them [away would be if he knew no one would ever work them again. He said you’re just either going to have to keep them or destroy them. Art destroyed the one and the other one came [back] home. [Pop] had to come after it. [Art] wanted to sell it but Pop said no; that was the agreement. Pop always said he wasn’t going to sell those horses after 18 years. We had worked them [enough], and [we won’t] have someone else mistreat them. Cindy: So they were destroyed. I guess they were more practical about things like that. With me it would be a pet, but they were workhorses. Clyde: Well, we always thought a lot of those horses. We liked them. Clyde: We left [Berlin-Bunker Hill] and I remember that Mom whenever we bought the farm down on the mountain [Sandpatch] that Mom baked a pot of beans to take along so we’d have some prepared food whenever we got there. We went down in the bobsled in the wintertime and we were bundled up down underneath the blanket in the back of the sled whenever we went down there. I wasn’t six years old yet. I remember…there’s a lot of memories there. I remember whenever we had a telephone, one of these old-type wall phones with a speaker that stuck out from the phone about six inches, and Pop went to either Meyersdale or Berlin one night and he hadn’t come back yet. We were all huddled around Mom, and it was a terrible lightening storm. We looked over and a ball of fire came out of the speaker of the phone. But the winters used to be so bad that we’d have these winters when we could get out and we’d walk right across the fences. We had rail fences at that time. Cindy: The snow was deep enough? Clyde: Deep enough. And we used to have a dog that was a mutt called Prince. [We’d] hitch the dog to a sled and the dog would take off. We used it to pull. We had a flock of geese and I remember one time the winter was so bad that we couldn’t find the geese. We searched a little bit until one of us heard them. They were up above the barn. We had a spring up there and there they were in a little pond of water and still alive. Sometimes the foxes would get them because there were a lot of foxes around at that time. Up above that spring there used to be a swamp, and we used to go up there to try to catch little green frogs. We called them greenies. And the chestnut trees. My gosh, we used to pick those chestnuts by the gallon up under those trees. Whenever the frost hit them, with a little wind all the chestnuts would come down. That’s where Alton and I were one time and we got a piece of punk and tried to smoke it. We happened to look up and here Pop was standing and watching us. Cindy: He was probably laughing because he knew you’d be sick. Clyde: He didn’t do anything, but we didn’t smoke until we were of age. Now that’s also where we used to get a board or plank and whenever the snow would come with a little bit of crust on the top, and we’d all sit on it and go down the hills, and boy did we have a time. [Sometimes we’d] cut off a small tree and drill a hole down through the middle of it, and then we’d all get on each end of the tree and we had a merry go round. [Eventually,] we moved over from the Lutheran Church, down towards the river on the right hand side in Salisbury. And that’s were Ernest got pneumonia. [He was] somewhere around 16 or 18 years old. He fell in the swamp, through the ice and he caught pneumonia and we thought he was going to die and Aunt Sadie came in and she took and cut up onions and she piled them on his chest and his fever broke and whenever his fever broke then we knew that he was going to be alright. I don’t know how many years we lived there. We still had the dog, Prince, and we still had a hive of bees that we had whenever we lived down on the mountain. We brought them along to each place and they kept us in honey through the winter. And from there we moved over on the other side of town. I don’t know what job Pop had at that time to keep us going. But this was a better house and that house is still there yet. I was in it, not too many years ago, and the woodwork on the inside of the house is still beautiful. From there, Pop operated the limestone quarry up in Niverton. And Harry and Ernest went along, and that’s where Ernest was up on the hill standing with a box of dynamite in front of him, and he’d used the last cap [to set the charge do some blasting]. After the blast went off, a piece of limestone fell down from the sky and made a hole in the top of the blasting box. Whenever they used to haul the limestone up over there, they crushed the ore. It was longer lasting that way. We lived there I don’t know how many years. We had some pretty good memories there, because we used to know all the people in the whole neighborhood and we used to do little odd jobs, run errands for people. I cleaned out a chicken house for a neighbor. I think I got fifty cents for that. I used to take our neighbors, by the name of Johnson, to pick up their washing and take it down about a quarter of a mile every week, and they’d give me so much money for it. And one time I weeded their tennis court. Stuff like that we used to do to get a little something and then we’d go to the movie. Alton, he used to get in free because of the people that owned the movie. Their daughter was the ticket collector and she liked him. So she’d let him sneak in. I had to pay. It was five or ten cents. Payday was Saturday night, and that’s when everyone from all the community used to congregate in the streets, and that’s when they used to do their buying. There wasn’t a lot of buying through the week, but on Saturday. And that’s when Pop paid all the bills, and the grocery store, and anything they needed. He’d settle up. There were two stores there, grocery stores. One of them was Dickie’s and one of them was Lickeyer’s. That’s where we lived in Salisbury, and that’s where I went to learn mostly about what I knew about the Bible, because we used to have an excellent Sunday School teacher. I used to be the librarian. I used to take all the literature around to the different classes during Sunday school. And they used to always have plays, Christmas plays, and all us kids participated in all the plays. And we used to like the Bible school, because there we’d make something. We always built something. And there’s where they’d talk about kids getting in mischief. We used to play hide and seek all over that town. We’d hide up and down the streets and the other group would try to find us. Or we’d go out and play hockey. We didn’t have any pucks, so we took a tin can and crumbled it up. We went out in the woods and dug up a crooked root as a hockey stick. We used to have an awful lot of fun like that. I learned to ice skate on the Casselman River. Alton and I used to go down as soon as it was hard enough to get on. It wasn’t hard enough if we stood still, but as long as we moved, the ice didn’t break through. That used to be fun. My wife Susan’s mother Hilda Elizabeth “Pickles” was born there in Salisbury in 1921, and the final son Lawrence Elvin came along in 1924. Clyde: I always had the feeling that Pop used to drink a little bit whenever he was young, before he met Mom. I always had the feeling that Mom said that if you’re going to get together with me, you’re not going to be drinking. The only liquor that I ever saw in my house whenever I was a little kid was a bottle of liquor and that went with us for years used only as a medicine. If you had a sore throat or something like that Mom used to take a little bit of sugar and a teaspoon of liquor and let you sip on it. And that’s what it was used for. I think whenever Ernest got pneumonia and almost died, that that’s what it was used for, and that’s the last it was used. Meanwhile, plans were being made in the northern part of the county for a church camp ground that would change the entire family’s lives. In the late 1800‘s, members of the Coffin family worked a 178-acre farm in Jenners Township just off US. Rt. 30, also known as the Lincoln Highway. The Coffin family attended the Covenant Presbyterian Church in Boswell. 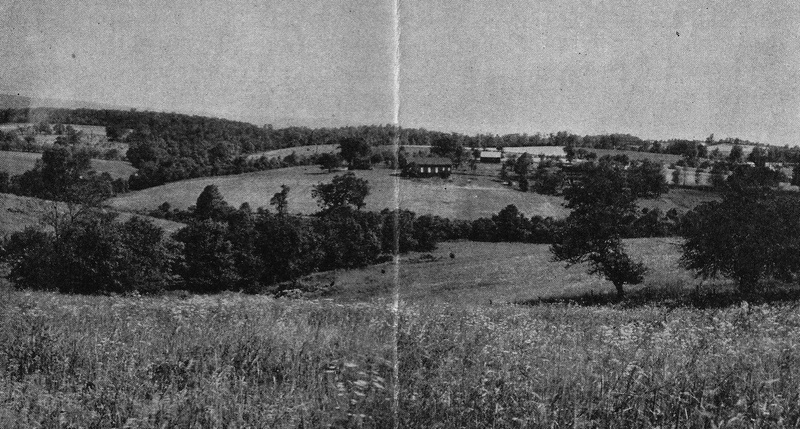 When Mrs. Isabella Coffin, a widow, died in 1909, she willed the entire farm to the Redstone-Blairsville Presbytery with several provisos: the Presbytery was to erect and maintain a chapel on the grounds and the land was to used primarily for religious education and recreation. Clyde: Pop had read an ad in the paper that the people of the Presbyterian Church needed someone to run a farm. Pop loaded us up in the old Model A Ford or Model T Ford and we went over to Jennerstown, in the old inn. In the upstairs they had a little conference room there, and we sat there and talked with this Creighton. He owned the Scranton coal company or at least had a good interest in it. There was Doctor Hays. There was Doctor Bailey and they interviewed Pop and they decided with all those kids, that’s exactly what they needed off of someone to do all that there work that need done on that farm. And believe me, there was a lot work to do and that. That farm hadn’t been farmed. This meant once again uprooting and moving his family, but this position meant more security and even prestige. 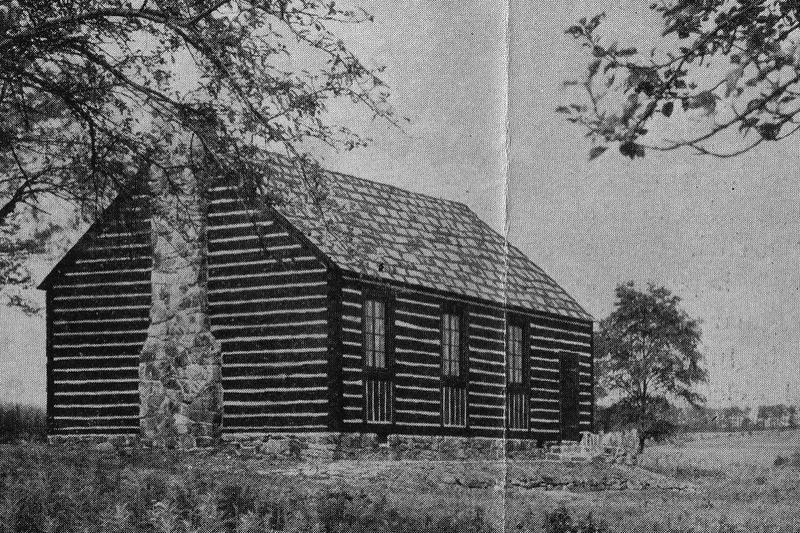 The original farm house on the Pine Springs farm was built in 1819, according to Lawrence Krause, and clay from the property was fired for the bricks used. The house was enlarged sometime between 1898 and 1918. Charles, Annie, and all of the children appear in the 1930 Jenner Township Census. Charles called himself a farmer, while the older boys were considered laborers, and the rest students. 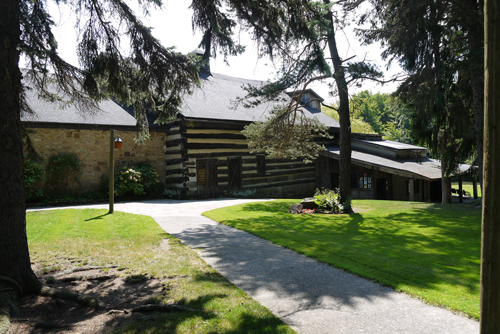 The log chapel was finished with the help of the Krauses and dedicated in July of 1929, but little else was done in the way of establishing a camp until after the Second World War. Pop and his boys did farm the land, and several of the young Krauses worked at the Green Gables Restaurant that had been built at the end of the lane along the Somerset Pike. Clyde: There were two crises we had that I remember on the Presbyterian Farm. [One was] whenever Olive got the scarlet fever. We used to go up [to her bedroom] in the evening and sit with her for a while. With the scarlet fever, her skin would just flake off, and Alton used to sit there and read the Bible. Finally her fever broke and she was all right. I think that that affected her hearing a little bit. After she was over it and we were almost ready to go back to school, I don’t know who else it was, but one of the other ones got it. So we were out of school for almost two months because the health department put a notice on the door: “If you come in, you can’t go out again.” Alton was working at Green Gables, and Jimmy Stoughton kept him down there so he could wait on tables, and whenever he would come up [to the house] to see us he had to stand in the yard and talk to us. The other crisis apparently involved brother Lawrence, who says that Pop’s mother, Margaret Georg (1856-1941), left Western Maryland in her old age, long after the death of her husband, to live with the Krauses at Pine Springs. He remembers that she was German through and through and “kind of grouchy.” He liked to sing and she would disapprove, saying, “Boys will whistle and girls will sing.” He says that sometimes she would climb the stairs to the kids’ unheated bedroom in the wintertime and see their breaths rising from under the covers, then rush back down to report to Mom that she had caught them smoking. Apparently, after a while, Mom “had her hands full,” so Grandma Georg went to live with another daughter. Clyde: The only way that we knew that there was a garden, below the house, was because we saw the Easter lilies come up and they were outlined all the garden beds. And we went in there with horses. I remember it was, I think, a Memorial Day. We wanted to go up and celebrate in Jennerstown and Pop made Alton and I help him with a grubbing hoe and an axe, and we went and cleaned the brush out of the lane leading from [old] 219 up to the house. That’s what we did on that [holiday]. And while we were there, for those almost seventeen years, we worked on that farm there as adults. Alton had so many cows and I had so many cows, and we had to milk them before we went to grade school and high school. And whenever we came home, we had to milk them again, and we had to help clean out the stables, the pigpen, the whole thing. We used to go out and have to do the plowing, with a walking plow, back of two horses. If I went out that night after I got a little bit older, the next day sometimes, I’d get so blame sleepy. I could hardly stay awake and put the reins over one of the handles of the plow. The horses knew where to go because they just followed the furrow. The first thing you know the plow would start weaving. That would wake me up. But we had to do the cultivating. We steered the cultivator. The horses would go between the rows, but we had to fine tune it with the two levers that we worked with our feet, and we had to watch the row to guide the thing so the shovels on the cultivator didn’t run into the corn. But those horses we had, those two horses, Pop used to get mad at. If we had a load of grain or anything, those would be on the back end of the farm, and if you gave them a little leeway with the reins, first thing you know they’d be walking a little fast, and then a little bit trotting, and if you actually let them go, next thing, even if you had a load of hay on there, they were galloping. We used to have to go over the back of the mountain on a wagon to get a load of coal from the mines. And during the Depression we used to have to take grain back to the mill, an old fashioned mill with the mill race and a great big paddle wheel. We’d take wheat back there during the Depression and they’d grind it for us, and Mom would make bread out of it. We didn’t care for the bread too much that way, but at least it was something to eat. Group of girls from [area churches used to come to the farm,] from Seward, from Irwin, Windber, Cambria City, Westmont, Moxham, and all over the place. Whenever Mom was baking bread, some of the girls used to sit there and watch her so they would get some of it after she baked. We’d take them for hay rides. We used to have lot of fun with them. Cindy: One of them was my Mother [Genevieve Overdorff], eventually. Clyde: Yeah, that went on there for years. [The church people] had built that [chapel] up there [and accepted the farm] under the conditions of the Coffins, who used to own the farm. There was a son that lived, I think, in the upper house and he had a studio up there where he painted. And there was a great big window there that was facing north. One whole wall was window. That’s where he used to paint. He was a sort of a drunkard, but they said some of his paintings were in the Pittsburgh Museum. But Alton and I used to have to mow up around the buildings where the upper house was, all up around the church and all around our house. We kept the grass mowed all that time and all those years for that Presbyterian Church until right on up to the end of the year after about seventeen years. In 1950, Mom Krause began to write daily entries in a diary, which spanned three years. [See FOOTNOTE #5.] It summarizes the activities, family, and guests that visited the Krause family. The journal has been transcribed for this website and a commentary is available that provides context and insight into Mom’s words and observations. You’re invited to read all these. Clyde: I don’t know how to describe Pop. We knew he loved us. But he never showed a lot of affection. He was always very concerned about it. He was a little on the strict side. So was Mom. He gave us everything that was possible to give us. And then in later life, we realized how sorry he was that he couldn’t have given us more. But Mom, I don’t think ever stopped being an Amish girl. In her religious life and her other regular life, she always dressed very conservatively. It would have been unheard of for her to have ever worn a pair of slacks or anything like that, because in her whole life she never did it. She never cut her hair in her whole life and it used to come well below her knees. I knew that she loved us. She always did. After you’re away from home for a while and after you get older, then you realize just how much. Annie “Mom” Krause died on the Jennerstown family farm in 1971 in her 86th year. Her Amish friends from Springs attended the funeral at the local Lutheran church. 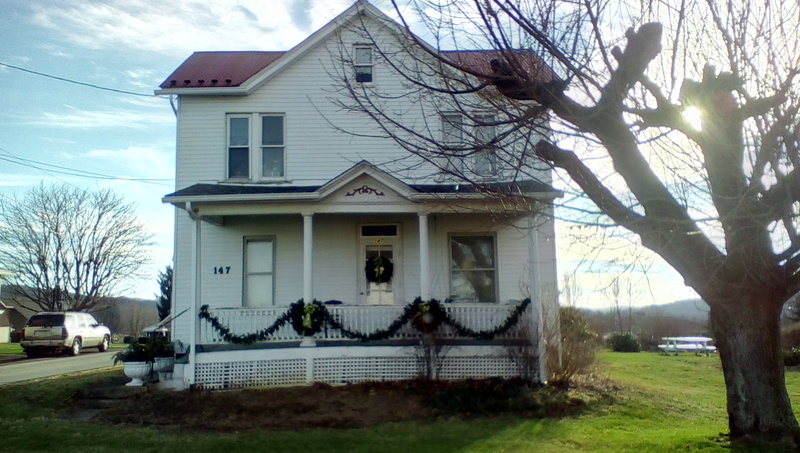 Charles “Pop” spent his final years with his daughter Hilda and her husband nearby in Jenner Township and with son Ernest and wife Mary back adjacent to the Jennerstown farm. He was 89. Clyde: We had a good home life, because we were always very protective of each other. We kids used to fight among ourselves. If it got anywhere out of hand, our parents put a stop to it real quick. We helped around the house and we kids helped farm as soon as we were old enough to help. We milked the cows. We tended all the animals, chickens, everything, the same as a grown-up, as long as we were home. What a nice way to end such an epic journey, with two devoted young people who came from opposite sides of The National Road, married, and raised a hard-working family on their way north to adventures on both sides of the Lincoln Highway. We hope you’ve enjoyed the trip and will continue to celebrate these noble lives. #1. Clyde: Mom and Pop both, I wouldn’t be surprised that they went pretty close to the eighth grade. Because Pop knew enough arithmetic that he could run that limestone quarry. So he had to, and running a farm, he had to deal with people, he had to add, subtract, divide, the multiplications and all that. #2. Finally, in 1948, the Pine Springs Camp for youth was established and dedicated. The camp kept the name of the farm, which was taken from a stately grove of pines surrounding the water supply at the center of the property. The first year, 230 young campers and their leaders from 15 churches experienced the inspiration of the Pine Springs facility. 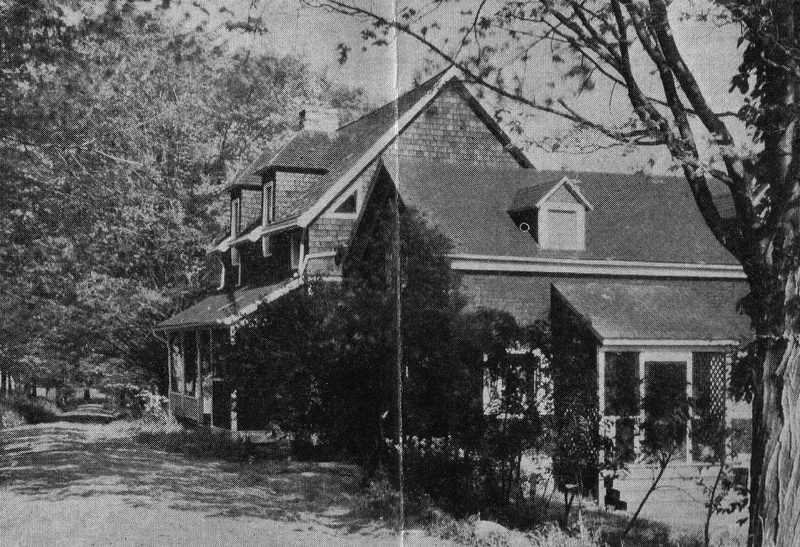 The Presbytery spent more money in 1950 to fix up the old Pine Springs farm house and added a swimming pool, a craft hall, and caretaker’s garage. Many other improvements have been made in the years since. Additional land was purchased to bring the campus to 230 acres. Today, the camp welcomes over 600 young people and 50 college-aged leaders from several Presbyteries each summer as the Pine Springs vision continues to grow. #4. CLYDE: Whenever Social Security came out, [Pop] didn’t want to apply for it, but Ernest and I talked him into it. Ernest said, it’ll give you a little bit of a pension whenever you get older in years. When we’d take Mom and Pop anyplace we always paid for everything, but once in awhile we’d just give in to Pop [and let him pay]. Not because it was necessary, but because we felt he wanted to. It made him feel good. He’d say, “Hey, I can pay for something for a change; because I have a little bit of my own money.” That was the first time in my life [I could try to pay him back]. Because, even when we were kids, if we got a nickel from him, [we knew that] a nickel was a lot back during the Depression for a kid. #6. After the death of Harry Krause in 1970, his sons faced some financial problems on the farm. 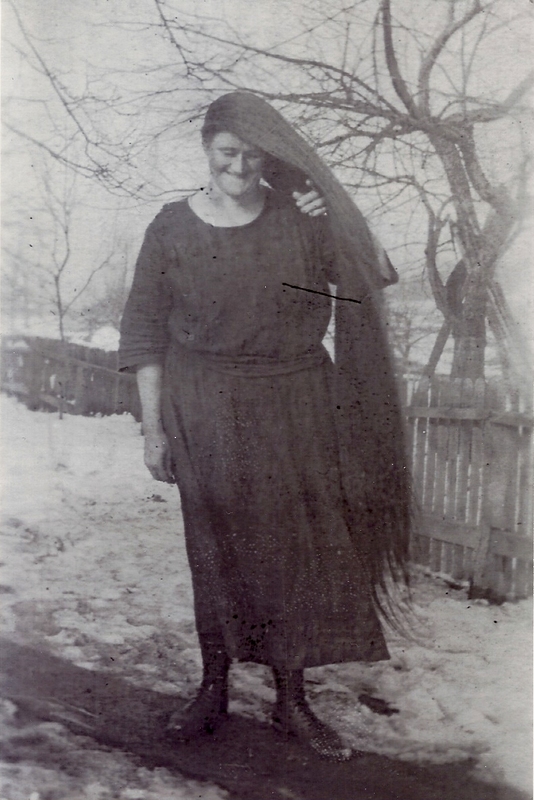 Lawrence purchased it and provided a home for the widow Alma. But additional problems arose when the family, as other small operations in the state, couldn’t meet health department standards for selling milk. At this point the farm was transferred to Jerry, Harry’s son, and upon his death, his widow continued to rent the land and barn but had the old house razed. 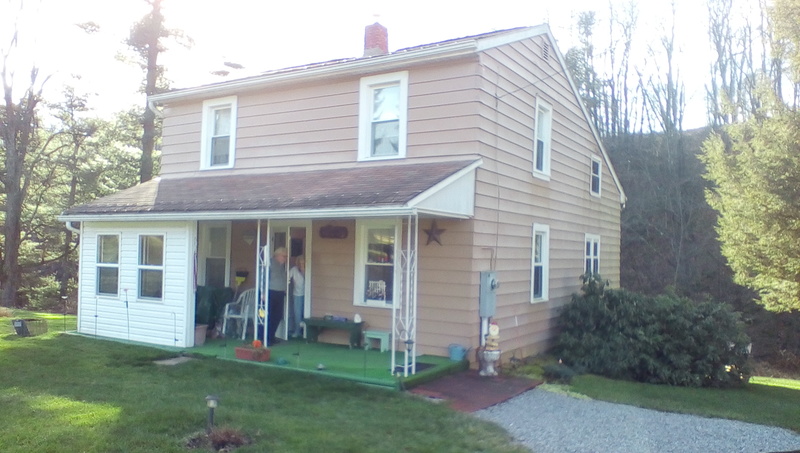 She continues to live on the farm while, just across the Somerset Pike (Rt. 985), Krause’s Soft Freeze continues to operate during the summer months under the ownership of Charles and Annie’s grandson, Ernest’s son John. Many of Mom and Pop’s descendants still live and work in the immediate area.